We have a brand new Good For Nothing chapter in Bristol and we want you to get involved. We are collaborating with Boston Tea Party to run a Good For Nothing experiment in four of their cafes, including our local one in Stokes Croft. Boston Tea Party are providing Good For Nothing the space to meet and we hope that these local hubs and our new format will be our launch pad to help more people engage with Good For Nothing in Bristol. Are you a local social or environmental project that needs some help? Do you live in Bristol and want to do Good in Your Hood by gifting your talent for nothing? It’s simple: we’re looking for Projects + People in Bristol to come to our first Good For Nothing event. Are you a local project or organisation in Bristol working on solving a social or environmental challenge? Would you like to share what you do and what challenges you face at our Pitch Night on September the 14th 2017? 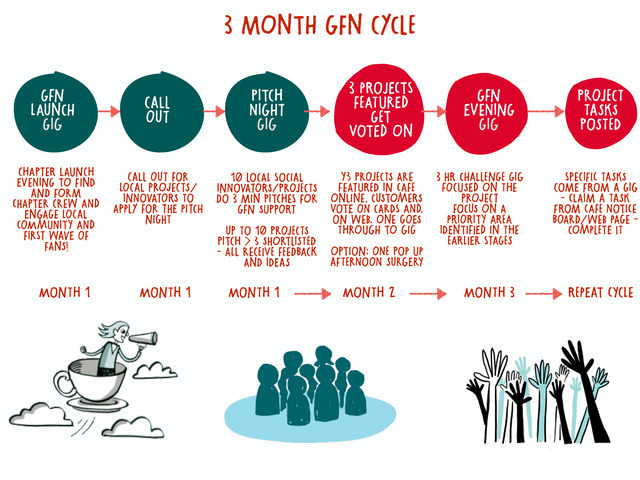 As a collective we will try to help you overcome barriers you are facing in your project using the talent of the Good For Nothing community in Bristol. Over the course of two hours on September the 14th ten projects will be invited to come and share what they are doing in a fun and engaging way. What is your project called? What do you do? 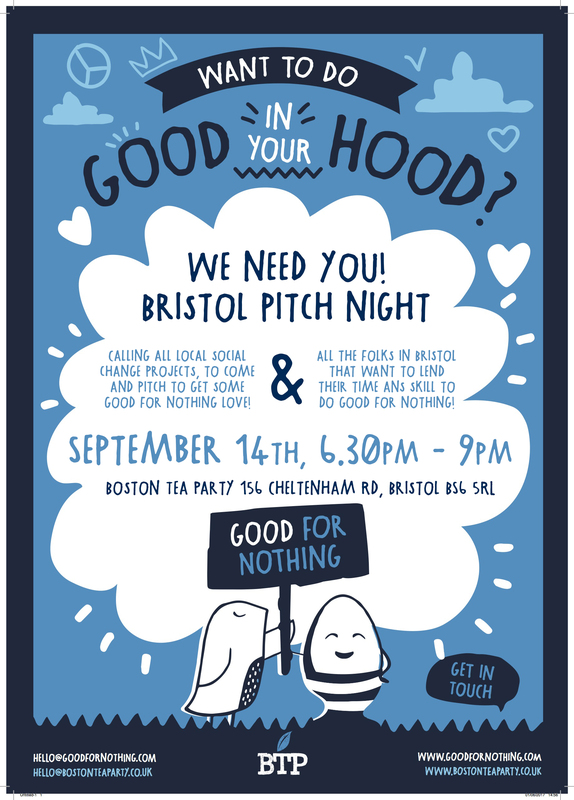 The Good For Nothing Community in Bristol who have listened to your pitch will share connections, provide insight and support and shortlist three projects through to our next round. These three projects will be voted for online and in the cafe for the following four weeks and then get a 3hr Good For Nothing Gig in October/November. 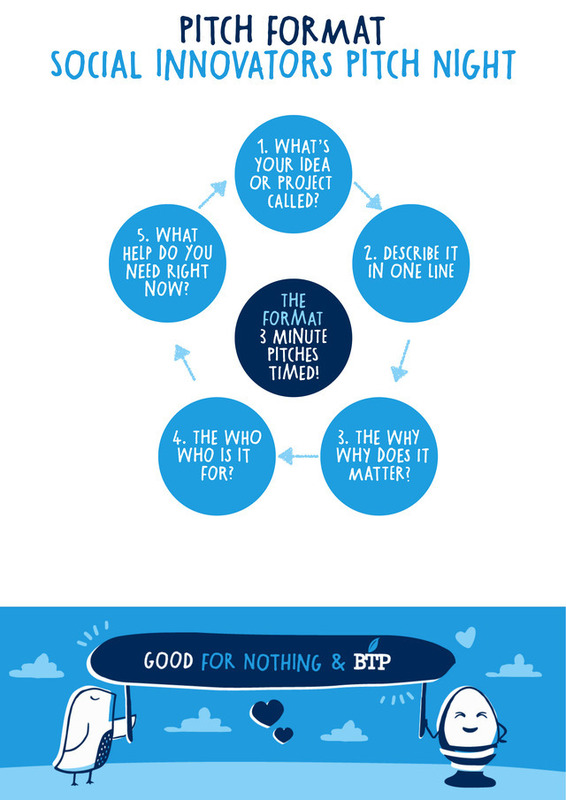 Your pitch needs to be under three minutes. No slides. Up for the party? You are willing to open up and let the Good for Nothing crew work freely on their brief from you. Good For Nothing is a creative generosity network where folks gift their talents to help local social change projects in their city have more impact. Anyone can do Good For Nothing, please come along to our first gig to get involved and find out more.